On a walk in Galway once I met a Polish couple poring over a map. We were going the same way, and fell into step. They were in town for an Esperanto conference, and when the man – an Esperanto playwright – learned I had an interest in languages, he eagerly gave me a crash course in its grammar as we manoeuvred the uneven paths and busy streets. It was a fun experience, but it remains the only proper exposure I’ve had to spoken Esperanto. 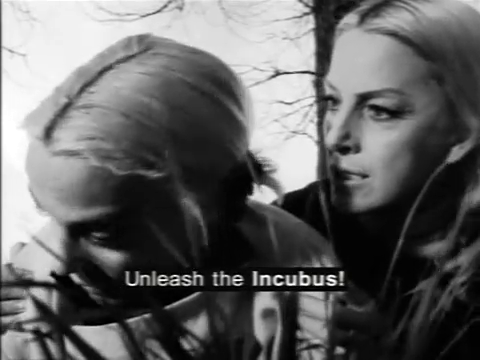 More recently I encountered the language again, not in the flesh but in the form of a film: I wrote a post about films of linguistic interest, and the comments soon filled up with tips; Edward Banatt suggested Incubus.